Below is an in-depth look at what you can expect in each section of our website and where you can find our quality content online, on our apps and on air! 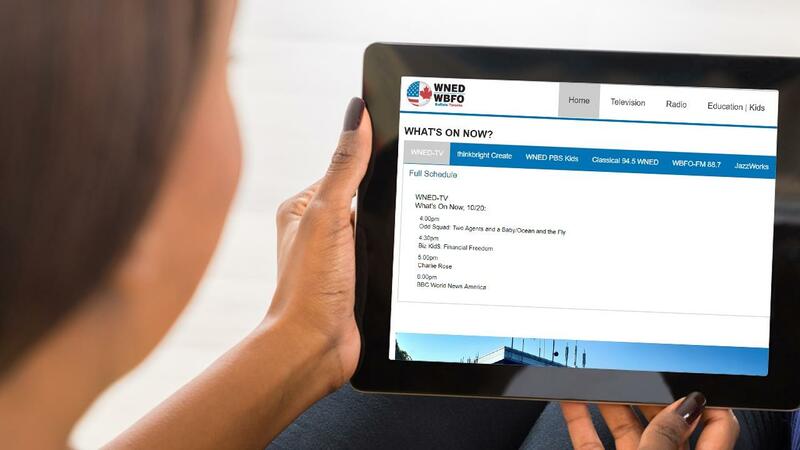 WNED | WBFO Passport is the member benefit that provides you with extended access to an on-demand library of quality public television programming. 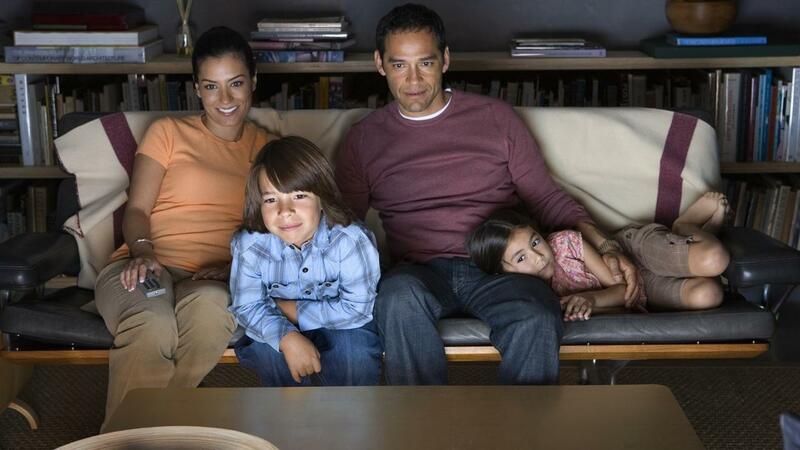 Featuring both PBS and select local programming, WNED | WBFO Passport allows you to watch even more episodes of your favorite shows, including releases of entire new seasons. The WNED PBS KIDS 24/7 channel can also be streamed directly from our website. 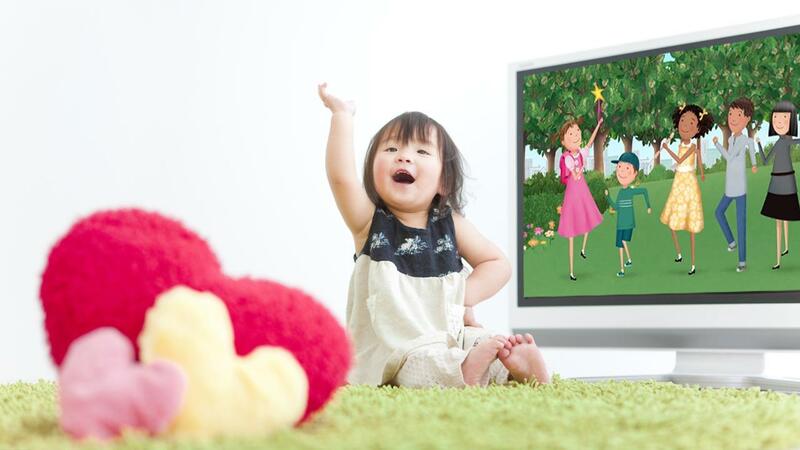 Keep your PBS KIDS entertained and engaged with quality, educational shows. The live stream complements on-demand clips and full on-demand episodes. Where do I tune-in to watch your broadcast on-air? WNED-TV is available over-the-air at 17.1 and WNED ThinkBright Create, or WNED-HD2 is broadcast on channel 17.2. Can I stream the radio services? 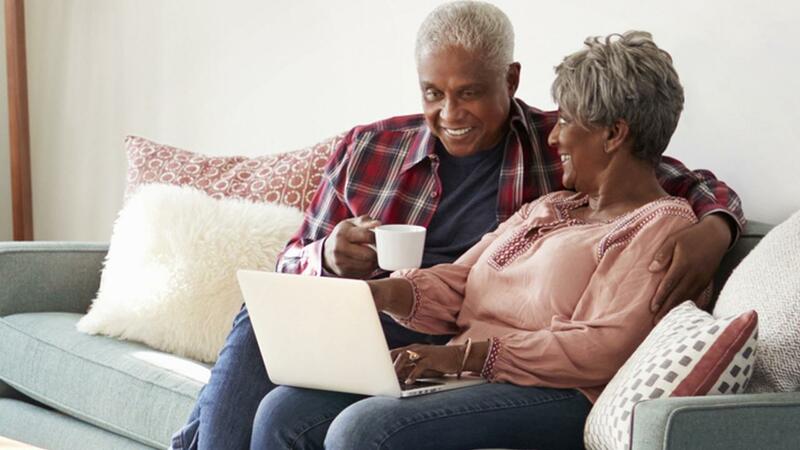 You can stream WBFO, Classical 94.5 WNED and Jazzworks right from the home page of wned.org—there are also links on the WBFO, Classical 94.5 WNED, Jazzworks pages. Yes, there's a app for that. 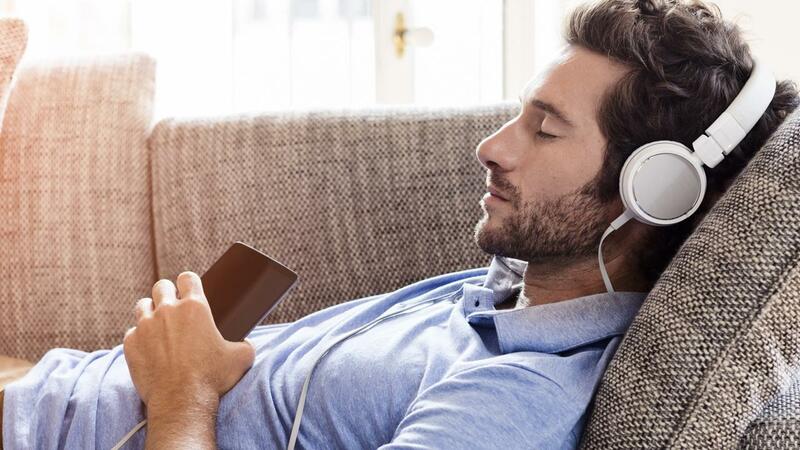 With our mobile apps for Classical 94.5 WNED, WBFO-FM, JazzWorks and WNED-TV, you can stream our stations no matter where you are. 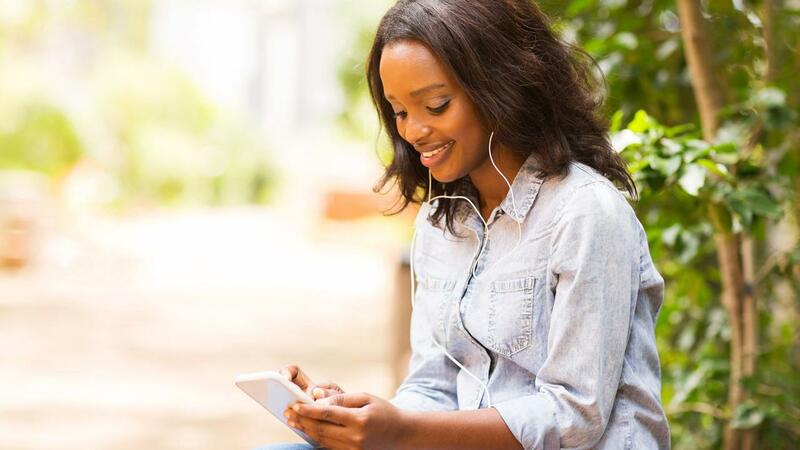 Enjoy your favorite PBS programs, catch up on local and national news, listen to the classical and jazz playlists, and so much more, right from your smartphone or tablet. Download all of our mobile apps for free in the iTunes or the Google Play store today. 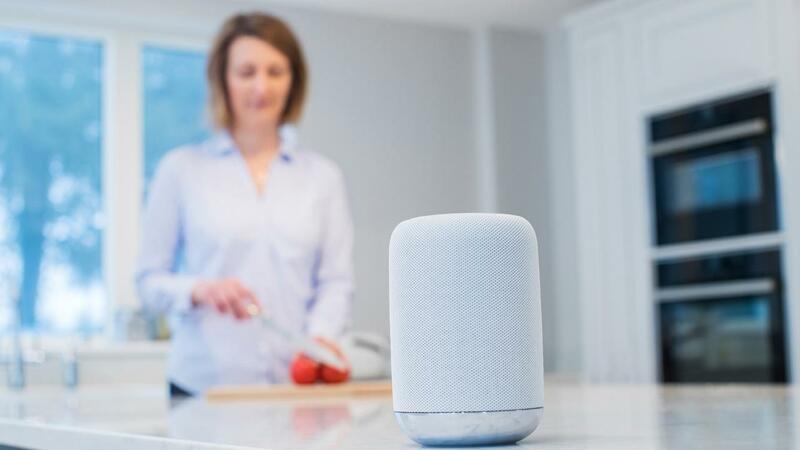 Your smart speaker just got smarter. With a few simple commands, you can access the entire world of WBFO-with all the latest news and discussions of the day or stream Classical 94.5 WNED. Just ask your smart speaker to "Play WBFO" or "Play WNED-FM"
Classical 94.5 is the area’s 24-hour non-commercial classical music service. in addition to 94.5 FM, Classical WNED is simulcast on 89.7 WNJA in Jamestown. WBFO continues to produce award-winning news that makes it one of the top news stations in the area. The station is dedicated to providing the best in local news coverage to compliment national and world coverage from NPR and the BBC. Saturday and Sunday evenings continue a long tradition of Blues music. In addition to 88.7, WBFO’s widely-acclaimed programming is also heard on 91.3 WOLN in Olean and 88.1 WUBJ in Jamestown. Jazzworks 24 hour jazz music airs on 88.7 HD-2. You can see what is currently playing and access schedules for all six of our broadcast services from the"What's On Now" section of our home page. You can also find schedules for individual services on ourTV schedule page, WBFO schedule page, and Classical 94.5 WNED schedule page. Remember, you’ll always find the most accurate and up-to-date schedules on our website. Do you have any resources for teachers? Yes, there is an entire section of the website devoted to teachers! 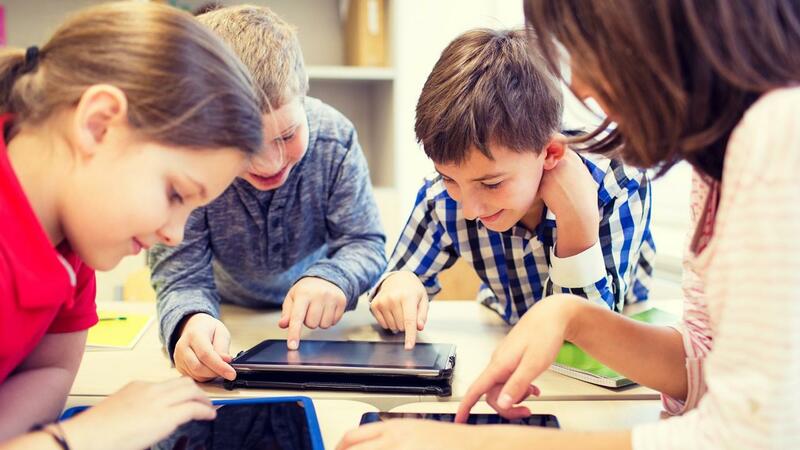 You’ll find thousands of free classroom ready, standards-aligned digital resources. 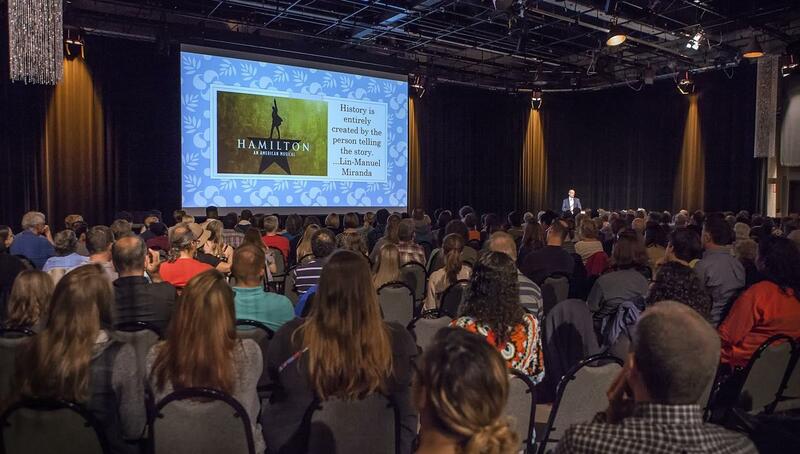 Including many lesson plans connected to WNED Productions like Reimaginig A Buffalo Landmark, TheWar of 1812 and Frank Lloyd Wright’s Buffalo, professional development resources, and even the latest in education news. Where can I find content dedicated to kids? 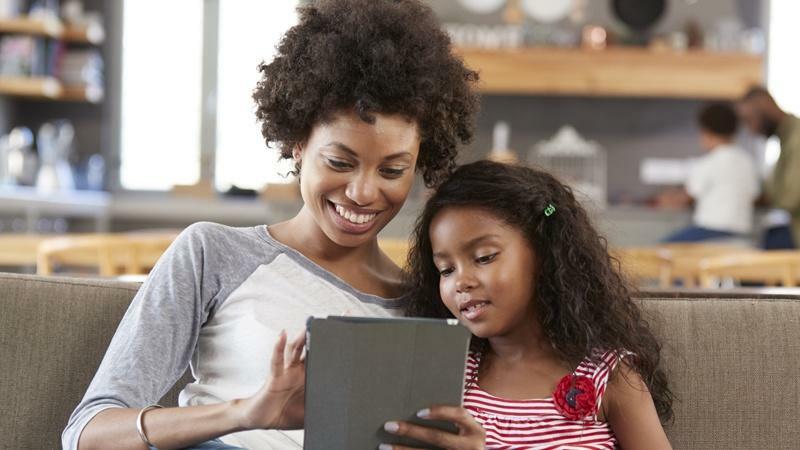 Our website has sections with content tailored specifically for Parents & Caregivers and Kids. So get ready to jump-start family learning, explore parenting resources, crafts, games and activities. 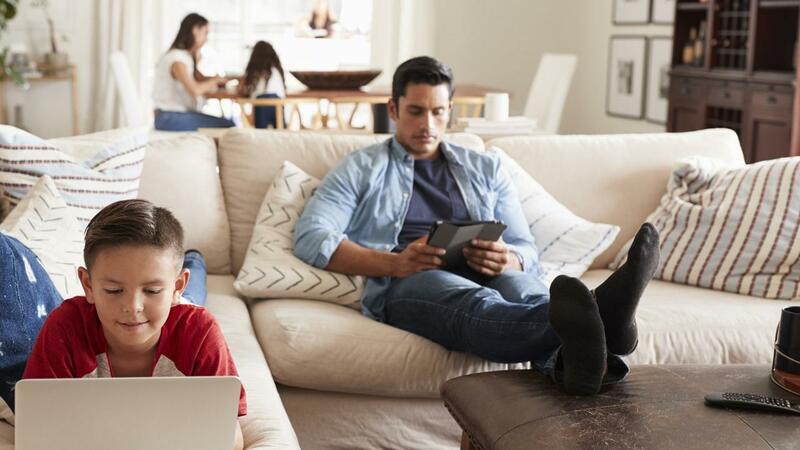 You can even connect your little one with the 24/7 WNED PBS KIDS channel—streaming anytime, anywhere right from wned.org. Discover additional content not available on our broadcast channels on wned.org! We know more people are watching and listening to content online than ever before. In addition to streaming our television programs and radio services, we are dedicated to producing and presenting original content that you’ll find right here on wned.org. Our digital projects include"Making Buffalo Home" - a project that focuses on the stories of immigrants and refugees both old and new, "WBFO's Mental Health Initiative"- aims to normalize the conversation about mental illness by bringing this issue from the shadows into everyday light, "Our Vietnam Voices” - a series showcasing Vietnam veterans and others affected by the war in our region and Reach Out - Recognize Relationship Abuse, a project that brings awareness to teen dating violence and gives you the tools you need to start a conversation with someone you think might be in an abusive relationship. wned.org also features digital series from public media including Rewire, Two Cents, The Art Assignment, America From Scratch, Physics Girl, Eons, Deep Look, Hot Mess, Gross Science and Space Time. Immerse yourself in WNED-TV's Original Productions. 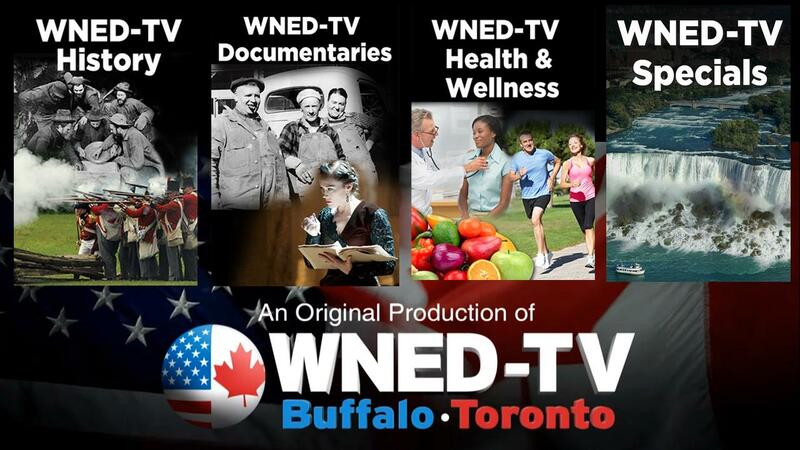 WNED-TV has been Western New York and Southern Ontario’s storyteller for 60 years! The station long ago established itself as an originator of television content for PBS. Many of our productions highlight historic and cultural treasures of Southern Ontario and Western New York. Explore our productions, most of which can be streamed directly from our website- even in Canada. Many of the pages include additional information, photos , bonus videos and educator resources. Where can I find out about upcoming screenings, events and opportunities? Visit the Screenings and Events page of of wned.org to learn about upcoming screenings and events from WNED | WBFO. How can I learn about your shows? Check out the WNED-TV Program Highlightspage. You can watch previews for upcoming programs, explore behind-the-scenes content and extras from your favorite shows and be the first to find out what’s coming up this week, this month and beyond. Explore the WNED-TV Production pages for local and national programs produced by our award-winning team. 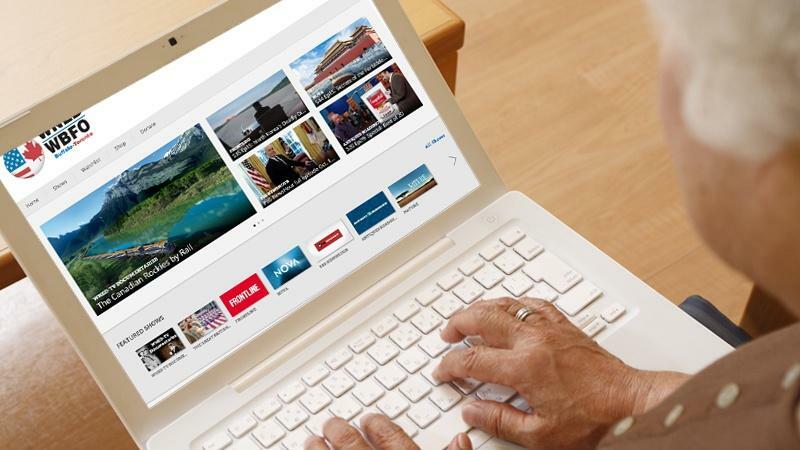 For fans of lifestyle and how-to programming the WNED thinkbright Create page is the place to find out about new shows, schedules and weekend marathons. 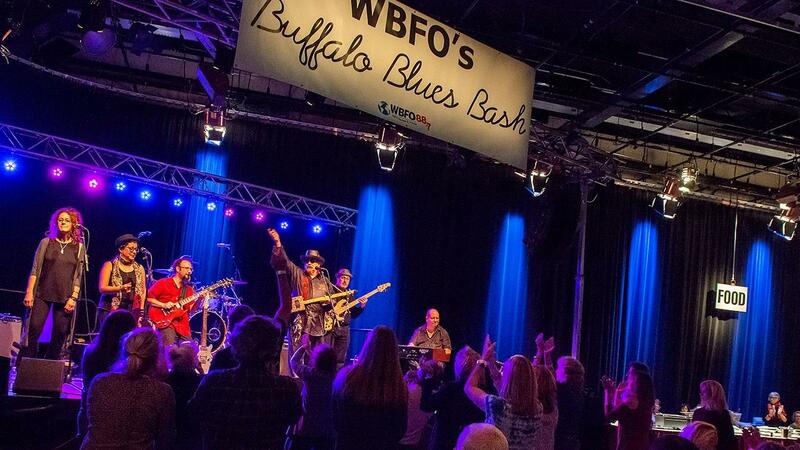 WBFO- discover our special series and News Desk coverage. Classical 94.5 WNED- make a request,listen to interviews, explore series and program line-ups and discover programs from Public Media that are sure to appeal to fans of classical music. What was that song that just played on Classical 94.5 WNED? Use “Search the playlist” to find out what piece played two minutes ago, two hours ago or even last Tuesday. Simply enter the date and the approximate time and you can see everything that played that hour.